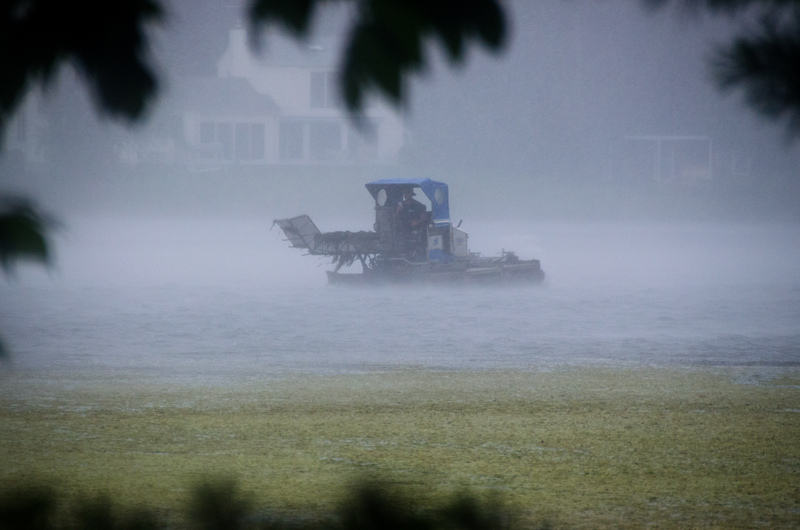 A late afternoon thundershower chased the harvester back to dry land as quickly as the treads could drive it across the lake. See photo attached. Fortunately better weather is in the forecast for tomorrow.